Hand crafted pen is perfect for the hunting or gun enthusiast. 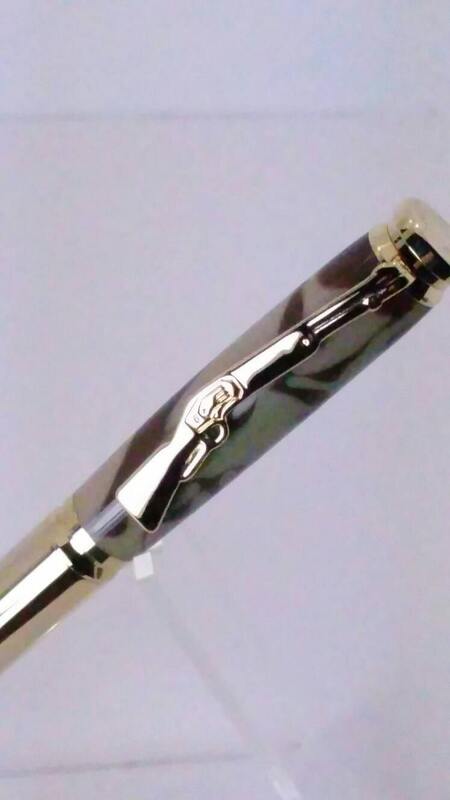 Twist action pen uses Parker style refill. Includes slide out gift box.